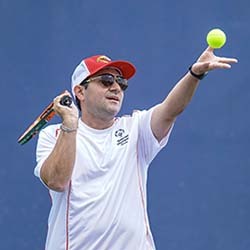 The idea that one day he would stand on a podium with gold medals around his neck for tennis as the Olympic theme song played seemed as far away as Wimbledon for NLM’s Bijan Bagheri. After all, he wasn’t a competitive athlete in high school. His mother was told that Bagheri would never even be able to ride a bike because of autism. But Bagheri doesn’t let autism get in the way of athleticism or work. The 29-year-old office clerk at NLM earned two gold medals for tennis this year—one for singles and one for doubles. 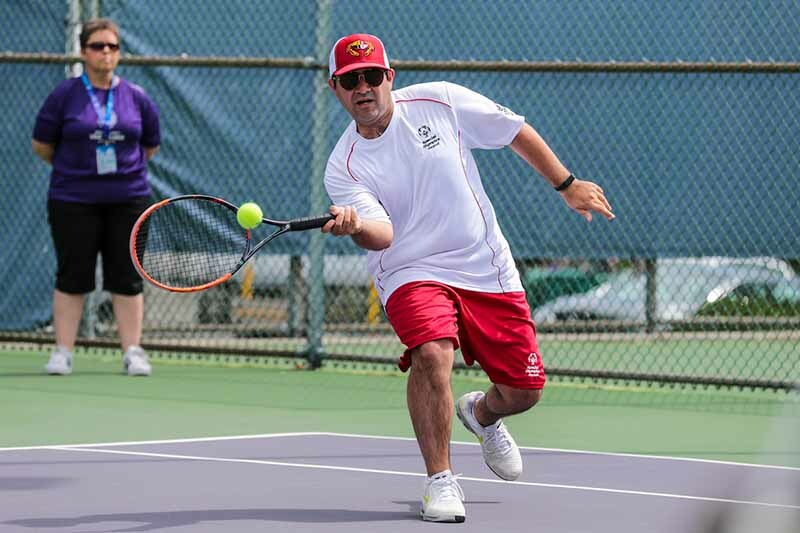 As a Special Olympian, Bagheri is part of a 50-year-old organization founded by Eunice Kennedy Shriver that includes millions of athletes who participate in 50,000 competitions in more than 170 countries. Because of his can-do spirit on and off the court, Bagheri was recently featured as a “Rising Star” by local news station WJLA TV. The work ethic it takes to compete as an athlete helps Bagheri at NLM, where he is known for arriving half an hour early every day to deliver packages, handle inventories, and tackle other tasks. If the office is closed for any reason, he is disappointed. Bagheri says he is most proud of three things in life: his family, NLM, and tennis. Like many Olympians all over the world, Bagheri displays his medals in his home where he can see them every day. Each Special Olympics medal is embossed with the organization’s universal values: skill, courage, sharing, joy. Winning two gold medals made Bagheri feel so “happy and excited” that he’d definitely like another! By Kathryn McKay, NLM in Focus writer. This article originally appeared in The NIH Record.